Bulk SMS Software for Pocket PC Phone is fully capable to directly send unlimited SMS from Windows supported Pocket PC/PDA/smart phones to other users` mobile phones in just one click. Bulk messaging software delivers text messages that include contest sms, event alert notifications SMS, meeting alert for employees, season greetings, personalized SMS, job alerts invitation, promotional campaigns etc. Text Messaging Software helps you to stay in touch or maintain communication with your clients, friends, employees, customers, family relatives etc even if you are not present on your work place or traveling somewhere. Software does not require any external device for composing or broadcasting sms and quickly sends group sms to single or group of people mobile phones residing anywhere in the world subscribed to any mobile network (national or international). 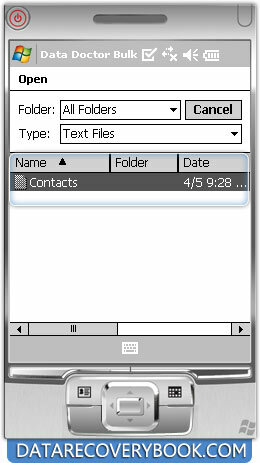 Pocket PC to Mobile SMS Tool provides complete support to all major Pocket PC and PDA mobile brands including Hitachi Pocket PC phone, Samsung Pocket PC phone, HTC Pocket PC Phone, Siemens OS based phones, smart phone, Motorola, HP iPAQ etc. 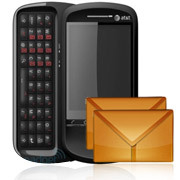 Directly delivers mass text messages from your Windows compatible Pocket PC to any GSM/CDMA mobile phones in one mouse click. Software facilitates users to enter recipient contact number manually, loads from any contact file or import from phone book entries. Easily compose and deliver SMS regardless of its length and provides full support to Unicode characters based languages. Offers user-friendly graphical interface with no technical skills or training needed to work with software. Cost-effective, quick and time saving task for making easy and instant contact with people.